Hi! I’m Ariel, welcome to my little corner. My friends used to call me "Lai". It is a term used in an old french poetry that deals with the stories of adventure and romance. 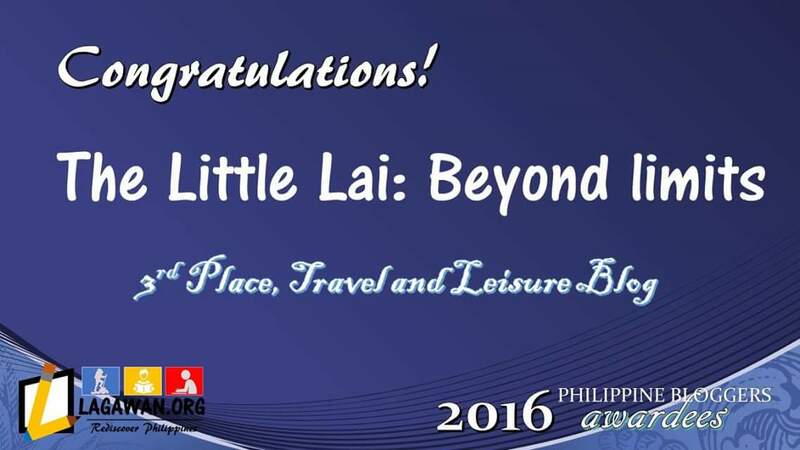 Hence, "thelittlelai" is a small guy who constantly seeks for adventure and always happy to share the narratives of his travels while hoping for a true romance. Personally, going around this Coral Garden was like walking around during Autumn season in another country. Likely because of the stunning color of this ground creeping plant that makes you feel like you’ve unlocked your bucket list of experiencing autumn. Truly, it’s a rare sight that offers a breathtaking view. It’s probably a nature’s way of letting us know that they work mysteriously and amazing. #CoralGardenLoonBohol #LoonBohol #BeholdBohol #TatakC3 #ig_philippines #ig_philippines_ #pinasmuna #tuklas_pinaskalikasan #shareph #travelph #choosephilippines #wanderlust #ForumSession #fotografiaunited #welivetoexplore #traversePhilippines #goph #grammerph #VPinoy #goprojectph #vscophilippines #instatravel #knowcebu #gphwander #whatstoloveph. We started seeing the perfect sunset hue as it reflects on a vast rice terraces which welcome us as we nearly get to the base of Mt. Tres Marias. #thelittlelai #BiliranIsland#MountainClimbing #RiceTerraces #TatakC3 #ig_philippines #ig_philippines_ #pinasmuna #tuklas_pinaskalikasan #shareph #travelph #choosephilippines #wanderlust #ForumSession #fotografiaunited #welivetoexplore #traversePhilippines #goph #grammerph #VPinoy #goprojectph #vscophilippines #instatravel #knowcebu #gphwander #whatstoloveph. Tinago Falls is peacefully situated in the Municipality of Linamon, Lanao Del Norte, and very close to the City of Iligan. This waterfall might have been fanning out its name around and outside the Philippines, but still left in its innate state. Its name is inferred from the Filipino word “tinago”, which means “hidden”, because the falls is hidden in a deep ravine and surrounded by lush scenery green forest. But since it has been accessible to many, this waterfall is no longer a hidden jewel. But before you can finally see its astounding beauty, you have to go down by treading on the 500-steps winding staircase, which made it easy, but going back would be a real challenge. As we reach down, I was amazed because it is naturally destitute of any sign of commercialization, which made me happy. There were a bunch of travelers during our visit, some went swimming and some just took some photos of the Falls and leave. There are also cottages built near the waterfalls to accommodate visitors. #thelittlelai #TinagoFallsIligan #IliganCity #TatakC3 #ig_philippines #ig_philippines_ #pinasmuna #tuklas_pinaskalikasan #shareph #travelph #choosephilippines #traveleverafter #wanderlust #ForumSession #VictosGuild #snopinas #fotografiaunited #welivetoexplore #traversePhilippines #goph #grammerph #VPinoy #goprojectph #vscophilippines #instatravel #knowcebu #gphwander #whatstoloveph. The Lake Danao Natural Park is peacefully situated in the lush scenery green forest which makes the place cold when you get there. It is stunningly hiding at 650 MASL and known for having a guitar-shaped lake when you try to capture an aerial view of it. The lake actually serves as a source of water to at least 7 towns in Eastern Leyte, and also an irrigation to some of the rice lands in some of the Municipalities of the Province of Leyte. The Lake naturally owns a cool environment, stunning view and clean waters which makes it a postcard perfect picture of serenity and peace. #thelittlelai #LakeDanaoNaturalPark #OrmocCity #TatakC3 #ig_philippines #ig_philippines_ #pinasmuna #tuklas_pinaskalikasan #shareph #travelph #choosephilippines #traveleverafter #wanderlust #ForumSession #VictosGuild #snopinas #fotografiaunited #welivetoexplore #traversePhilippines #goph #grammerph #VPinoy #goprojectph #vscophilippines #instatravel #knowcebu #gphwander #whatstoloveph. When trees drop their leaves does it always mean the end of their natural beauty? When winter approaches toward them and they barely receive sunlight accompanied by the growing coldness of the space that surrounds them, does it always mean - trees worried as well? We humans are like trees; when we get old, we leave the things that make us whole, our outside appearance and what makes us confident are slowly fading like a thousand bubbles floating in the air while tardily losing their natural and distinctive beauty. #thelittlelai #OldTree #TatakC3 #ig_philippines #ig_philippines_ #pinasmuna #tuklas_pinaskalikasan #shareph #travelph #choosephilippines #traveleverafter #wanderlust #ForumSession #VictosGuild #snopinas #fotografiaunited #welivetoexplore #traversePhilippines #goph #grammerph #VPinoy #goprojectph #vscophilippines #instatravel #knowcebu #gphwander #whatstoloveph. Mandahunog Cave and Spring is located in Brgy. Tabuan, Antequera, Bohol which consists of flowing water and a fresh water. It is alleged to be a local favorite place for summer season since the water is cold enough to mollify someone’s body from the clinging heat of the sun. The spring is actually coming from the inner part of the cave that flows down to the river, which appears to be really magical and awe-inspiring sight to behold. #thelittlelai #MandahunogCaveAndSpring #AntequeraBohol #BeholdBohol #TatakC3 #ig_philippines #ig_philippines_ #pinasmuna #tuklas_pinaskalikasan #shareph #travelph #choosephilippines #traveleverafter #wanderlust #ForumSession #VictosGuild #snopinas #fotografiaunited #welivetoexplore #traversePhilippines #goph #grammerph #VPinoy #goprojectph #vscophilippines #instatravel #knowcebu #gphwander #whatstoloveph. Maria Cristina Falls has long been fanning its name around and outside the Philippines because of its majestic beauty. It has been written in a book, and I saw several pictures of it since I was in grade school. And to finally traipse my feet to the stunning beauty of Maria Cristina waterfalls would be part of my greatest achievement. A memory suddenly sprouted like a bean and I was so right when I told myself 17 years ago - that someday, I can travel and see the magical beauty of Maria Cristina Falls. #thelittlelai #MariaCristinaFalls #IliganCityLanaoDelNorte #TatakC3 #ig_philippines #ig_philippines_ #pinasmuna #tuklas_pinaskalikasan #shareph #travelph #choosephilippines #traveleverafter #wanderlust #ForumSession #VictosGuild #snopinas #fotografiaunited #welivetoexplore #traversePhilippines #goph #grammerph #VPinoy #goprojectph #vscophilippines #instatravel #knowcebu #gphwander #whatstoloveph. 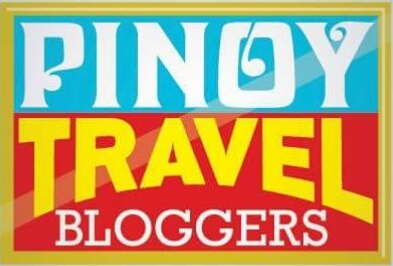 WHO HAS VIEWED THIS BLOG?